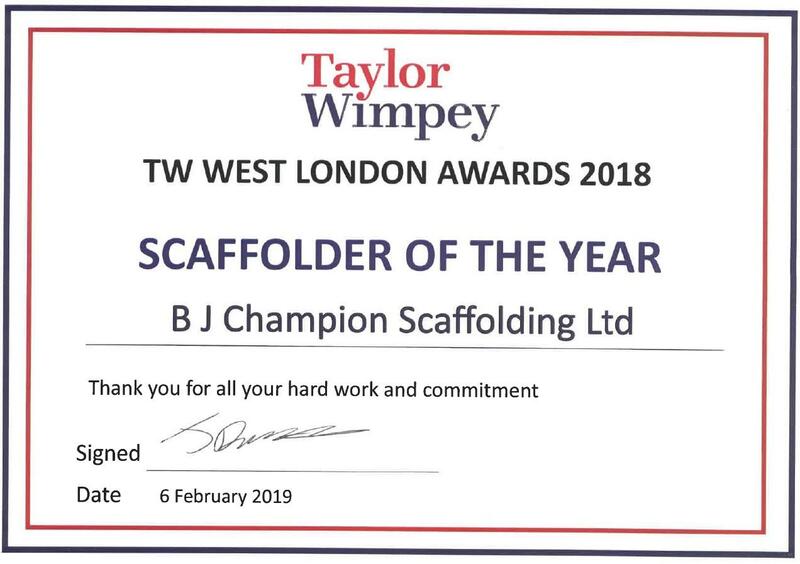 Delighted that Champion Scaffolding have been chosen as Scaffolding contractor of the year by Taylor Wimpey’s West London region. We have a very long and successful working relationship with the team at Taylor Wimpey and it is one we are very proud of. We thank you for the continued business and hope to be able to continue to offer the highest levels of service for many more years to come.